Keeping Christ in Christmas keeps our faith in a myth. Red cups. 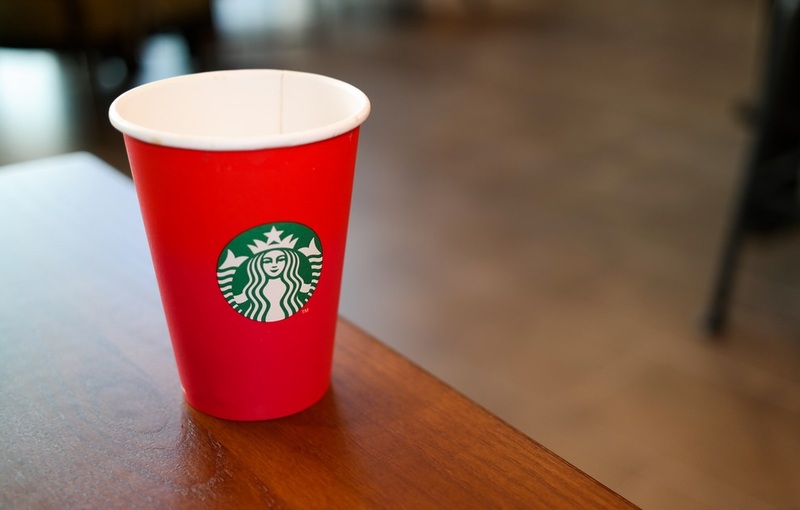 This year's War on Christmas was waged with drinkware by a coffeehouse chain. The ever sinister Starbucks, who historically has featured holidays cups adorned with various Christmas-related symbols, has been offering plain red cups, "to create a culture of belonging, inclusion and diversity." For many Christians, such inclusivism is interpreted as hatred of Jesus. It's an explicit rejection of not only the significance of the season, it's a rejection of Christ's reign in our culture. Because the War on Christmas has always been about who's in charge: Jesus or humanity. Kicking Christ out of Christmas isn't a denial of history or truth because everyone knows that Jesus probably wasn't born on December 25th. And most everyone knows that the Bible doesn't prescribe the celebration of his birth either. No, kicking him out is a denial of his authority and jurisdiction in our lives. By making Christmas about giving and family (i.e. ourselves), we as a nation have refused to submit to his will and spat on the throne of his judgment. And that's precisely why we need to encourage our country to kick him out. Because the Jesus that some Christians are defending isn't real. Two thousand years ago, Jesus was born into a world awaiting a savior. The people at the time were living under oppression and the prophecies promised that this savior would break their chains and set them free. But Jesus didn't free them from what they were expecting. He freed them from sin, not the government. They wanted a lion who would lead them into battle and what they got was a lamb preparing to be slaughtered. Two thousand years later, not much has changed. Jesus still hasn't come back and whipped the nations into shape. Every knee has yet to bow and every tongue has yet to confess that Jesus Christ is Lord. The only Jesus the world knows about is the dead lamb that we claim is still alive. And we hate that. We hate that because, until he returns, we're forced to endure the same ridicule he faced on the cross. He was mocked for being powerless and we're slandered for having impotent beliefs. Like the boy who cried wolf, we know the truth and no one will believe us. So we try to force them. We inject him into our culture as the de facto foundation for everything hoping that enough subconscious concession will translate into conscious acquiescence. In other words, we try to make him everyone's Lord by making him everyone's household word. We keep Christ in Christmas not because Christmas really is about Christ but because we need it to be. We're still looking for a geopolitical savior. We sell out movie theaters celebrating superheroes because that's who we want Jesus to be. We value power just like the rest of the culture that dismisses us for believing in someone who doesn't have any. And that means that we worship the wrong Jesus. The real Jesus emptied himself of that power and was born into weakness. The real Jesus removed his crown and lived a life of squalor. The real Jesus set aside his will to be a servant of all. The real Jesus was humble and died. Yes, he came back to life and has reclaimed his throne, but we focus so much on his coming and victory that we forget the reason he came and what his victory cost. We forget that the all-powerful God of the universe is humble because, like everyone else, we don't value or celebrate humility. That's what Christmas should be about. Not ostentatious displays of obstinance but modest expressions of love. It should be a time of unprovoked generosity and excessive grace because that would be a celebration of the person who was born to die for the world. No one should have to choke on our beliefs; people just need to see Jesus. And the only Jesus that the world should see at Christmas is the one who died for them, not the one we want to beat them into submission.